Summary. In the article the professional training of teachers in the United States of America is studied. This process is characterized by different standards. These standards of professional teacher education are key factors that ensure the relevant training of highly-qualified teachers-beginners. Standards also define the main tendencies of development of practicing teachers. The great attention in training teachers in the USA is paid to the continuous development and constant improvement of knowledge and skills that can correspond to requirements of modern society. Key words: professional training, teacher, educational standard, development. The standardization of teacher education is a key factor that provides for the highly-qualified teacher training - the formation of their professionalism, worldview culture, moral character. The realization of curriculums, the quality of educational services, pupils’ education depends particularly from the level of professional skills and subject knowledge of a teacher, his personal characteristics. To solve essential tasks of professional training and teacher development under the modern conditions of national educational system development in our country it is important to study the experience of developed countries, the USA in particular, which have great theoretical achievements and practical experience in solving complicated problems of modern education. In order to improve the quality of education in the USA the process of standardization of educational sphere began at the end of the XXth century. The basis of this process is competence-based education. In this country the standards of professional teacher education are key factors that ensure the relevant training of highly-qualified teachers-beginners who are ready to work with pupils of secondary schools. Such standards also define the main tendencies of development of practicing teachers. The standards of professional teacher education are developed by such organizations as: The National Council for Accreditation of Teacher Education, NCATE; The Interstate New Teacher Assessment and Support Consortium, INTASC; The National Board for Professional Teaching Standards, NBPTS . So, the work of American teachers complies with certain standards. It is defined that the teacher devotes his own work to his pupils and their education. To do this the teacher should know the individual peculiarities of every pupil: family, friends, hobbies and interests, skills and the knowledge gained, advantages and disadvantages which can stimulate pupils in educational process. In everyday professional practice the teachers use their knowledge of social and individual theory of education, theory of development of a child and a teenager, the conceptions of social and cognitive development. The standards of professional development stipulate the knowledge acquisition in the subject and the methodology of its teaching because the professional teacher broadens pupil’s cultural outlook with the help of the discipline he teaches. The teacher should understand the core of his subject which helps him to teach pupils analytical thinking. Particularly this kind of thinking favors to inclusive and conceptual understanding of the subject. The standards of professional development of American teachers stipulate the systematic analysis of his own work and knowledge acquisition on the basis of everyday practice. According to the requirements of pedagogical profession in the USA the teacher must study during all his professional activity broadening his own professional services, deepening knowledge and skills. The communication with colleagues and mutual critical analysis of pedagogical work help to develop in professional sphere and to improve the work of the teacher. An experienced teacher uses not only communication with the colleagues but also with pupils, their parents, administration of educational establishment where he works in order to receive appraisals about his work that favors to its improvement. The standard of professional development of teachers in the USA in the system of continuous learning is aimed at the integration of all elements in the one system which ensures the use of innovative knowledge and skills in the system of adult education. That is, the procedural standards define the ways of organization of educational needs, its evaluation, and methodology of problems’ solving and achievement of positive results. The standard of evaluation determines that the basis of professional development of teachers in the USA aimed at the enhancing of pupils’ achievements is the use of different information resources with the purpose to govern the process of education improvement. The evaluation of professional development of teachers is the only way to define the effectiveness of continuous education which are used by the politicians in the sphere of education. 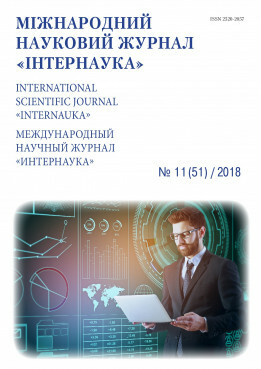 Evaluation gives an opportunity to make an analysis of aims and achieved results of professional development, to do the monitoring of participants attitude to this process, mastering of innovative educational technologies and the influence of teacher professional development on the progress in pupils’ education. That is why the evaluation is considered to be the integrative component in developing programmes of professional development of American teachers. The standard on planning the continuous education of teachers defines that the basis of professional development is planning and coordination of educational purposes with the corresponding educational standards. It means that planning of professional development is performed taking into account different points of adult education strategies. The most widespread forms of professional development of American teachers combine such elements as educational strategies, deepening of knowledge with the help of various approaches [2, p. 101]. The standard on the context of professional development of teachers in the USA in the system of continuous education provides the examples of effective organization and structure of professional development of American teachers which are stimulated by the development of professional communities, leadership and corresponding resources. Professional communities are groups of teachers in the system of education, school and department of institution which cooperate with the aim to improve the school and gain positive pedagogical experience. They can be the basic organizational structure for supporting educators and improvement of educational activity of pupils. At the present stage the professional communities of teaches are becoming the widespread form of professional development in the USA. The standard on the leadership determines that the basis of professional development of teachers aimed at the enhancing pupils’ achievements is the work of experienced school and district leaders of education who perform the administration of continuous process of pedagogical work improvement. The National Interstate School Leader Licensure Consortium Standards (ISLLC) of the USA are used in 30 states as a guidance as for the development of politics of school leadership and define the main role of school leaders – education and teaching. The teachers need new knowledge and skills in order to become experiences leaders of education. Particularly professional communities give the American secondary schools teachers the opportunity to ensure the certain direction of andragogy development aimed at continuous improvement. To make a conclusion it is necessary to say that the national system of education in the United States of America is a unique phenomenon which corresponds to the modern requirements of multicultural society which is characterized by productive cooperation of different cultures and nations. The system of professional education of teachers is a subsystem of national educational system of the USA. This system on the basis of national experience and world traditions ensures the professional development of teachers who able to perform professional activity on democratic and humanist basics, to realize educational policy as a strategic function of the state hat is aimed at the development and self-realization of the individual, satisfaction of its educational and cultural needs. Мукан Н.В. Стандарти професійного розвитку педагогів у США / Н.В. Мукан // Освіта Донбасу. Випуск 5/6. - 2005. - С. 99-106.